It’s hardly news that America’s Internet and smartphone culture has transformed the way people live. But not everyone knows they’re also changing the way people die — or, more specifically, how they plan for death and the often-difficult process of transferring key information, end-of-life wishes, and even treasured memories to their loved ones. Take Cake, for instance. This free online platform helps people determine and share their end-of-life wishes. Similar to the popular dating app Tinder, Cake outlines and organizes these wishes by presenting users with a number of questions on which they can swipe yes or no. Based on the answers, the app creates a profile divided into four categories — legacy, health, legal/financial, and funeral — each of them accompanied by action steps one could take to carry out those wishes. Even folks with a will can benefit from such a service, the company notes, because many aspects of end-of-life planning — right down to the food one would want served at one’s funeral — are typically not be covered in that document. But Cake is far from the only player on this unique scene, which mixes some time-honored concepts with a decidedly 21st-century twist. Here are some of the others. 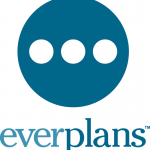 Everplans, in some ways similar to Cake, is a digital vault for a person’s end-of-life plans, described as “a complete archive of everything your loved ones will need should something happen to you.” The app allows users to securely store wills, passwords, funeral wishes, and more in a shareable vault. Documents may include anything from wills, trusts, and insurance policies to bill-payment schedules, advance directives and do-not-rescuscitate orders, as well as final wishes and funeral preferences. Users begin by taking a short assessment survey to see how much planning they’ve already done, how much else they need to do. Based on that information, the service, which costs $75 per year, creates a to-do checklist and helps prioritize that list. The user then assigns specific ‘deputies’ for the plan, so loved ones can find everything neatly in one place. More of an emergency-care tool than an strictly an end-of-life plan, MyDirectives allows people to speak for themselves — digitally. Users populate their ‘medical ID’ with date such as their health information and end-of-life plans. This allows doctors to have access to this information right from a patient’s iPhone lock screen. The four basic parts to this free service are ‘My Decisions,’ which outlines care preferences, values, and treatment goals; ‘My Thoughts,’ which uses messages, video posts, music, and photos to help caregivers know more about the patient; ‘My Healthcare Agents,’ which outlines who represents the patient during a health crisis when he or she can’t communicate; and ‘My Circle,’ which keeps key contact information in one place. The creator of Principled Heart, a certified financial planner, said his goal was to help answer a common question: where do we keep all our planning documents and information — and how will my loved ones know what to do? His site encourages people to keep only what is necessary, including passwords (or instructions on where to find them) for financial accounts, social media, and other accounts. Other features include instructions for pet care, key contacts, and space to upload up to 60 documents. Three specified people are required to validate the account owner’s death, and then the site, which costs $45 a year for up to one gigabyte of storage, will provide access to all the information stored inside. AfterSteps, created by a Harvard Business School student, also requires the names of three verifiers, who will be notified in the event of the user’s death and will get access to all information stored on the site, which includes wills and other legal forms, passwords and instructions for digital accounts, funeral-arrangement wishes, and other data. It costs $60 a year or $299 for life. Most services of this sort are recent developments, but a few have a longer history. DocuBank was created in 1993 as a registry to give members 24-hour access to their advance directives. More than 200,000 members have used the service ($55 per year) since then, and DocuBank has added new features, including an online vault called SAFE that provides a place for members to store files. The site’s latest ‘Digital Executor’ feature allows members to designate one person who will be able to access all of their online files once they’ve presented proof of the member’s death or permanent incapacity. Many end-of-life planning apps are about more than financial and funeral arrangements; however, crossing over into the realm of preserving history and sharing memories. For example, SafeBeyond ($48 to $96 per year) defines itself as a ‘legacy-management service.’ As such, this app allows users to keep record of their life story in the form of meaningful digital content. 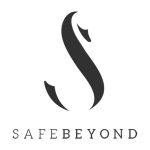 SafeBeyond’s distribution capabilities then allow for the future delivery of this content in the form of personalized messages accessible by specific loved ones – almost like emotional life insurance through which one can be remembered. The app allows people to record text, audio, and video messages throughout their life and store them in a heavily encrypted ‘digital vault.’ Then, SafeBeyond will send messages on behalf of its clients for up to 25 years after they die. Many users choose to schedule those messages on birthdays or on the anniversary of their passing. After the user dies, their recipients are e-mailed a notification telling them to download the app so that they can, one day, receive a message from the grave. 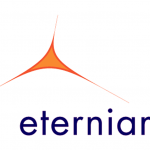 Meanwhile, Eterniam provides a free, secure online locker for one’s personal digital assets, including photos, videos, and other documents, and then releases them after the user’s death to whomever he or she specifies. Rather than focus on death, the app encourages users to ‘celebrate life,’ and to capture moments and upload them to the cloud. Bcelebrated ($20 yer year, $100 for a lifetime membership) enables members to create a multi-media website that will become their autobiographical memorial site when the time comes. They may share their story in words, images, and audio; write password-protected private messages for loved ones; and essentially leave a permanent site where friends and family can celebrate a life. Members create password-protected private pages for loved ones, record their last wishes, and assign a charity to receive donations on their behalf. The service also sends automated notification e-mails at the time of a member’s death and provides a list of numbers for those who need to be called. Some might feel that’s a worthy-enough goal. For those who want to do more than contemplate, but instead do some real planning about what they’ll leave behind, today’s online culture offers plenty of options.